I’m really looking forward to hosting Etape Suisse’s corporate sportive press trip in Gstaad, Switzerland from Sunday 21 to Tuesday 23 June 2015. It’ll be my first press trip as CEO of the luxury cycling company. The press trip will launch Etape Suisse’s corporate sportive in Gstaad in June 2016. Comprising cycling and networking, the 2016 trip is in aid of the Laureus Sports for Good Foundation. We’re aiming to raise over £1 million for the charity. Top journalists will join us as we head to the picturesque west side of Switzerland. We’ll ride in teams which includes celebrities such as Michael Vaughan OBE, English cricket legend and captain of the 2005 Ashes winning team. Etape Suisse is a business like no other. The cycling, the hospitality, the locations and the accommodation are all out of this world. It’s going to be a great pleasure for me to combine my passion for my work with my passion for cycling. 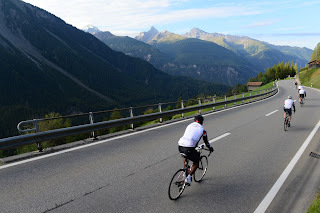 I’ve competed in triathlons and I’m currently training for my first Ironman 70.3, so I can’t wait to get a taste of the hilly terrain in Gstaad. As well as the demanding routes and networking opportunities, it’s also rewarding to be supporting Laureus Sports for Good Foundation. The charity is an incredibly worthwhile cause, raising funds to provide financial and practical support to more than 150 projects through the power of sport. Providing coaching and education to young people, Laureus Sports for Good Foundation helps those in some of the most challenging and deprived environments around the world. The press trip also gives me the chance to cycle and work alongside my good friend and colleague at redheadPR, Emma De Maio. Over the years, we‘ve worked on many exciting projects in incredible locations, but this one has the potential to be the most luxurious and stunning of them all. If luxury networking, cycling and fundraising interests you, visit www.etapesuisse.com/etape-suisse-gstaad-corporate-event to find out more. Earlier this week I had the great pleasure of speaking at the Mums UnLtd Summer Biz Fair in the Buckingham Park Community Centre in Aylesbury. I gave my talk, Get your brand buzzing through PR. The talk was about one of the main reasons businesses work with PR agencies: to raise brand awareness and get noticed by people who matter. As the recent survey, The State of Public Relations, revealed, brand awareness is the top priority when using PR services. So, I explored the importance of maximising PR and demonstrated techniques that make brands flourish. It was fantastic to show some of the incredible results that you can achieve with a well-managed PR campaign. What made appearing at this event even more rewarding was the chance to host my own PR and branding PR clinic after the talk. I spoke one-on-one with a number of hardworking mums, all looking to enhance their businesses or embark on new enterprises. I met many inspirational women who have incredible talents and who are already very successful. As a mother-of-two, I know the importance of good support and inspiration from other working parents. The Mums UnLtd Summer Biz Fair is a fantastic opportunity to offer this support, while showing how effective PR can boost the success of any brand. These types of events offer working mums the ideal opportunity to network, enhance their skills and get their brands buzzing. If you’re interested in learning more about Mums UnLtd or attending one of their events, visit www.mumsunltd.co.uk. 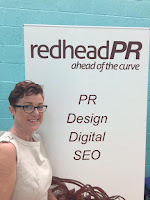 To find out what great PR can do for your business, visit www.redheadpr.co.uk. Sara Tye, the award-winning top 500 international PR and business and organisational development expert, will give her talk, Get your brand buzzing through PR, at the Mums UnLtd Summer Biz Fair. She will also host a branding and PR clinic at the event, which takes place on Monday 8 June 2015 at Buckingham Park Community Centre, Aylesbury. The recent survey, The State of Public Relations, revealed that brand awareness is the top priority when using PR services. With this in mind, Sara will explore the importance of maximising PR and demonstrate techniques that will make your brand flourish. She will also show some of the incredible results that you can achieve with a well-managed PR campaign. The branding and PR clinic is a chance to speak with Sara one-on-one and find out what PR can do for your business. At the Mums UnLtd Summer Biz Fair, Sara will present to mums running businesses and those who are looking to launch a new enterprise. The event will inspire and support working mums and help them build contacts through networking. Sara is also managing director of Gingernut Creative, a Birmingham-based creative agency. Gingernut Creative helps organisations inspire diverse audiences through its expertise in research, strategy, design, branding, digital and video. Gingernut Creative has a diverse client list, with a particularly strong presence in the healthcare sector where clients include Pfizer, the NHS and local authorities across the UK. The company also has clients in the education, technology and leisure sectors. As the newly appointed CEO of Etape Suisse, the luxury cycling company, Sara will lead the business to the next stage of its development following a successful first year. Sara Tye, the award-winning top 500 international PR and business and organisational development expert, has been appointed CEO of Etape Suisse, the organiser and promoter of luxury cycling sportives in Switzerland. The appointment follows a successful first year for Etape Suisse, which Tye will now lead to the next stage of its development and beyond. Etape Suisse provides inspirational cycling tours and high level networking opportunities in Switzerland while raising funds for charities such as Laureus Sports for Good Foundation. A business and communications expert with over 30 years’ experience, Sara has been voted Green PR of London by the Evening Standard and was a finalist in the first Cosmopolitan Women of the Year Awards in 1999. She helps develop businesses, individuals and organisations through networking, publicity, online strategies and proven business development techniques. She has six years of management training and qualifications. The company was founded as a response to growing mediocrity in the UK sportive scene. Satisfying demand for challenging cycling events in inspiring surroundings, its packages include fine dining and luxury accommodation in high quality hotels. Professional cyclists and celebrities also support Etape Suisse. Attendees have the chance to cycle with riders such as Cadel Evans, former Australian professional racing cyclist and winner of the 2011 Tour de France, Michael Vaughan OBE, retired cricketer, captain of England’s 2005 Ashes winning team, and Rochelle Gilmore, racing cyclist and Commonwealth Games champion. Etape Suisse raises funds for the Laureus Sports for Good Foundation. Laureus uses sport to benefit children across the world by funding community projects and helping individuals achieve real change in their lives. Etape Suisse’s 2014 Davos event raised over £25,000 for the charity. Etape Suisse’s corporate sportive in Gstaad in June 2016 comprises of cycling and networking. The trip in 2016 is in aid of the Laureus Sports for Good Foundation, which aims to raise over £1million for the charity. Etape Suisse is hosting its second festival of cycling and fine dining in Davos in the Swiss Alps from 10-13 September 2015. In the UK, the company is hosting the Chiltern Cycling Festival at Buckinghamshire’s Penn House Estate on Sunday 12 July 2015 and the Velo Classique at Chenies Manor, also in Buckinghamshire, on Monday 31 August 2015. Both events comprise day-long rides with the choice of three routes - 100 miles, 100km and 30 miles. 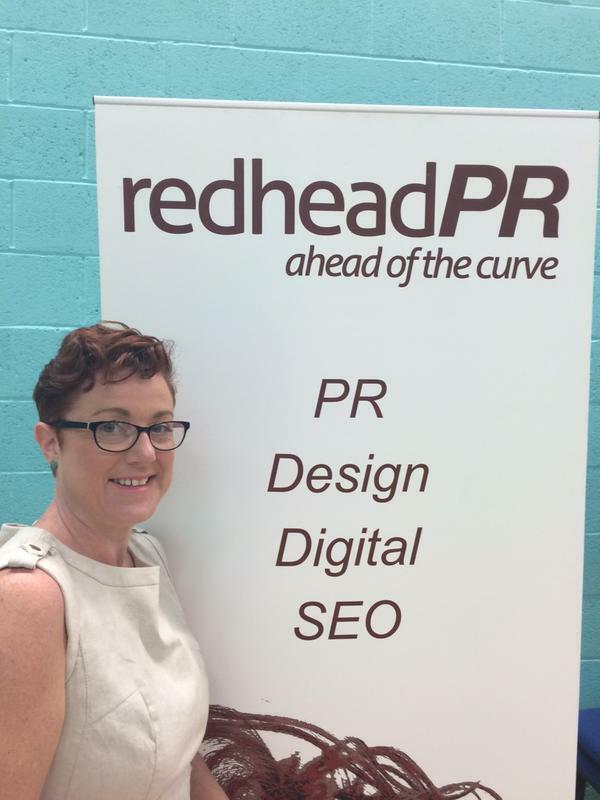 Sara is also Managing Director of Gingernut Creative, a Birmingham-based creative agency. Gingernut Creative helps organisations inspire diverse audiences through its expertise in research, strategy, design, branding, digital and video. Gingernut Creative has a diverse client list, with a particularly strong presence in the health care sector where clients include, Pfizer, the NHS and several local authorities across the UK. The company also has clients in the education, technology and leisure sectors.